AdamMaleBlog - Gay Culture, Art, Music, Humor, and more! 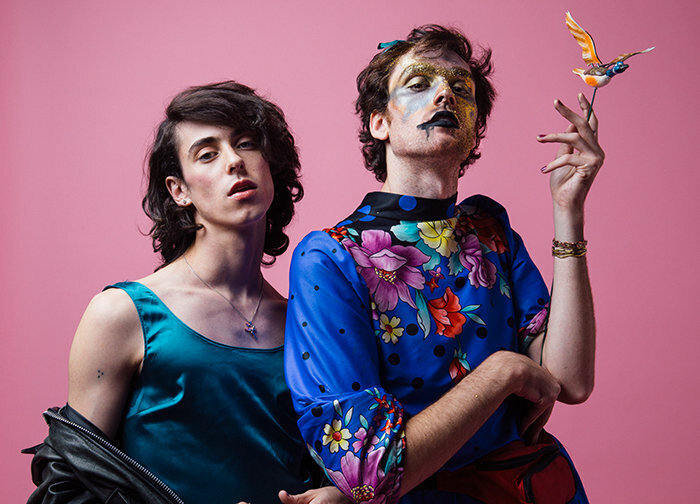 : Must Watch: PWR BTTM's new video "Answer My Text"
Finally, a new video from everyone's favorite gay indie rockers PWR BTTM! "Answer My Text" is visually stunning and filled with the some of the most comical imagery I have ever seen in a video. Their new album Pageant is due out May 12! Be sure to pick it up.